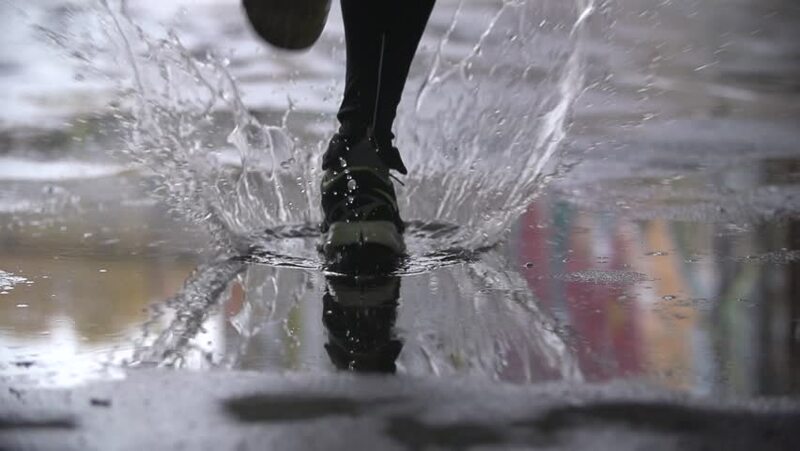 Close up slow motion shot of legs of a runner in sneakers. Male sports man jogging outdoors in a park, stepping into muddy puddle. Single runner running in rain, making splash.